The large flagship campus of the University of Illinois spans the twin cities of Urbana and Champaign. 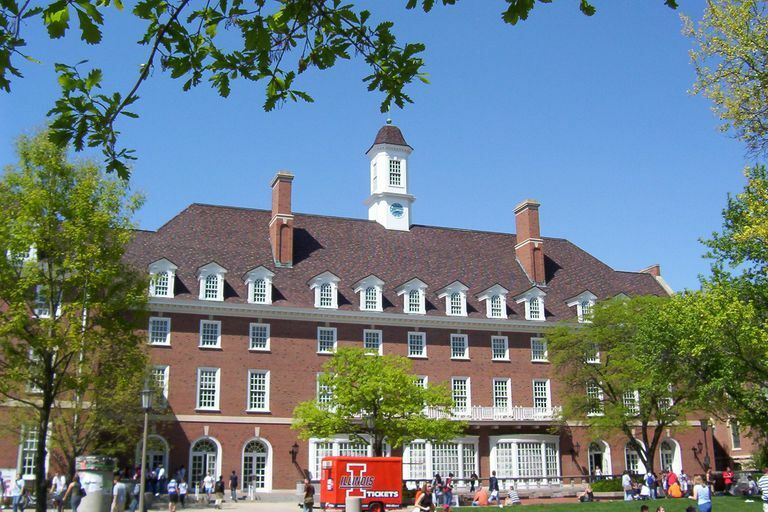 UIUC consistently ranks among the top public universities in the country. The school boasts over 43,000 students and 150 different majors, and it is well known for its outstanding engineering and science programs. Nevertheless, its strengths in the liberal arts and sciences earned it a chapter of Phi Beta Kappa. Illinois has the largest university library in the U.S. outside of the Ivy League. Along with strong academics, UIUC is a member of the Big Ten Conference and fields 19 varsity teams (compare the Big Ten). Explore the Campus with the University of Illinois Urbana-Champaign photo tour.